Mondeo - An all male hybrid that is suitable for both spring and autumn planting. This versatile variety has created huge interest due to its impressive yields and quality, especially early in the season. 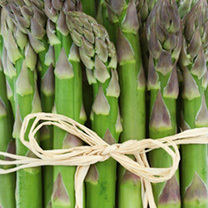 The delicious spears have tigtht tips and throughout the season, with excellent flavour and good disease resistance. Early season variety. 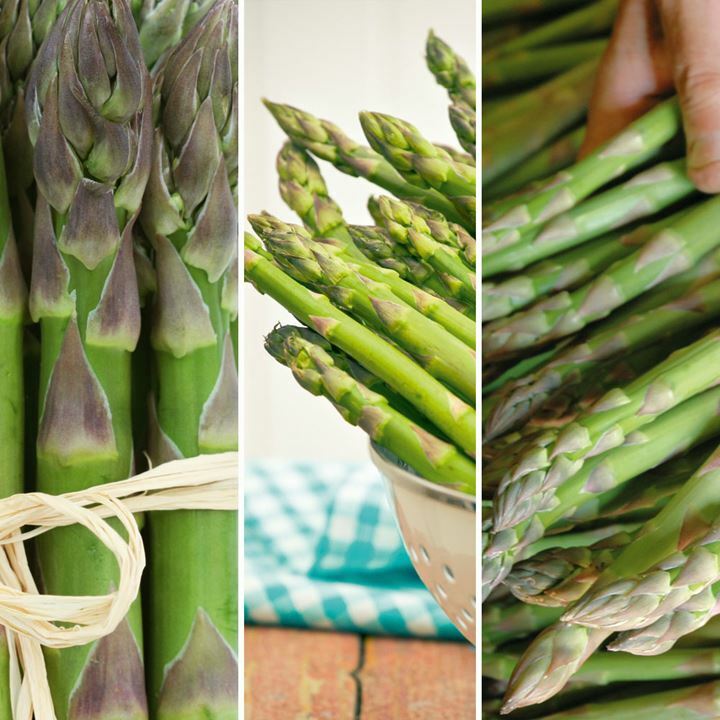 Pacific 2000 - From New Zealand breeding, this vigorous variety was voted the best in commercial grower taste tests. 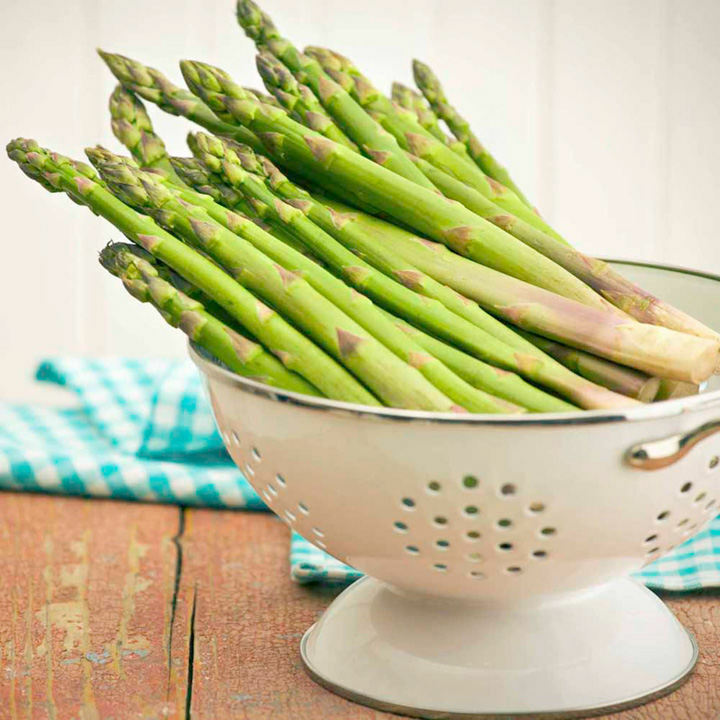 The consistently uniform, green spears are so tender and stringless, they can be eaten raw or sliced in salads! 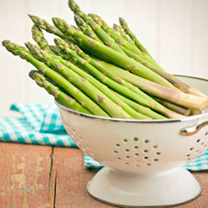 It's long-lasting and highly regarded for its heavy yields and superior flavour. Mid season variety. Guelph Millennium - This late season variety, bred in Canada, is at its best in the UK during the month of June. Now considered to be the best late season cultivar, it's an All Male hybrid, boasting excellent spear and head quality, combined with fantastic yield. Last season variety. Plants crop for well over 10 years, and established beds can be cut from the first spears until mid-late June (after which the attractive ferns should be left to grow). 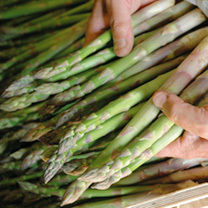 We supply one year old crowns, grown in East Anglia, which can be picked the year after planting. Allow 30-40cm (12-18") between crowns.